As is the case for most of sub-Saharan Africa, African Traditional Religion (ATR) is the indigenous religion of Sierra Leone. When the early forebears and later progenitors of Islam and Christianity arrived, they met Sierra Leone indigenes with a remarkable knowledge of God and a structured religious system. Successive Muslim clerics, traders, and missionaries were respectful of and sensitive to the culture and religion of the indigenes who accommodated them and offered them hospitality. This approach resulted in a syncretistic brand of Islam. In contrast, most Christian missionaries adopted an exclusive and insensitive approach to African culture and religiosity. Christianity, especially Protestantism, demanded a complete abandonment of African culture and religion, and a total dedication to Christianity. This attitude is continued by some indigenous clerics and religious leaders to such an extent that Sierra Leone Indigenous Religion (SLIR) and its practitioners continue to be marginalised in Sierra Leone’s interreligious dialogue and cooperation. Although the indigenes of Sierra Leone were and continue to be hospitable to Islam and Christianity, and in spite of the fact that SLIR shares affinity with Islam and Christianity in many theological and practical issues, and even though there are many Muslims and Christians who still hold on to traditional spirituality and culture, Muslim and Christian leaders of these immigrant religions are reluctant to include Traditionalists in interfaith issues in the country. The formation and constitution of the Inter-Religious Council of Sierra Leone (IRCSL), which has local and international recognition, did not include ATR. • Why have Muslim and Christian leaders long marginalized ATR, its practices, and practitioners from interfaith dialogue and cooperation in Sierra Leone? • What is lacking in ATR that continues to prevent practitioners of Christianity and Islam from officially involving Traditionalists in the socioreligious development of the country? This book investigates the reasons for the exclusion of ATR from interreligious dialogue/cooperation and ATR’s relevance and place in the socioreligious landscape of Sierra Leone and the rest of the world. It also discusses possible ways for ATR’s inclusion in the ongoing interfaith dialogue and cooperation in the country; this is important because people living side by side meet and interact personally and communally on a regular basis. As such, they share common resources; communal benefits; and the joys, crises, and sorrows of life. The social and cultural interaction and cooperation involved in this dialogue of life are what compel people to fully understand the worldviews of their neighbours and to seek out better relationships with them. Most of the extant books and courses about interreligious encounters and dialogue deal primarily with the interaction between two or more of the major world religions: Christianity, Islam, Judaism, Hinduism, Buddhism, and Sikhism. This book fills a gap in the study of interreligious dialogue in Africa by taking into consideration the place and relevance of ATR in interreligious dialogue and cooperation in Sierra Leone. It provides the reader with basic knowledge of ATR, Islam, and Christianity in their Sierra Leonean contexts, and of interfaith encounters and dialogue among the three major faith traditions in Africa. 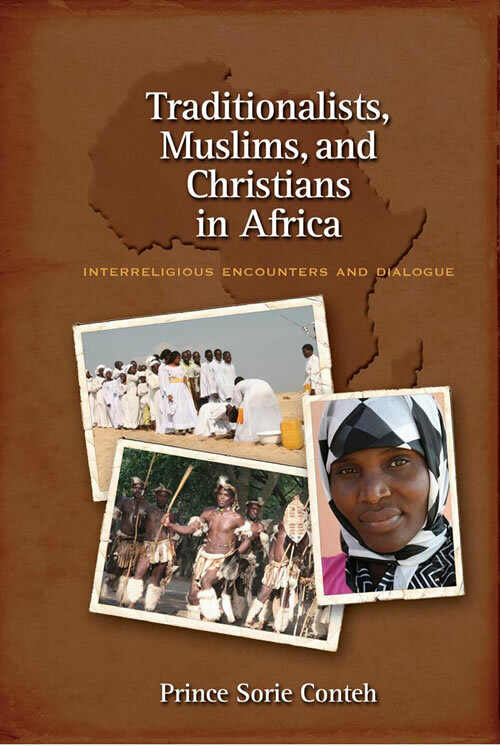 As such, it provides for the first time a historical, chronological, and comparative study of interreligious encounters and dialogue among Traditionalists, Muslims, and Christians in Sierra Leone. Traditionalists, Muslims, and Christians in Africa is an important reference for scholars, researchers, religious leaders, missionaries, and all who are interested in interfaith cooperation and dialogue, especially among all three of Africa’s major living religions—ATR, Islam, and Christianity.